How To Get The Shiniest Hair Of Your Life! We're just going to say it: Split ends are a b*tch… Yep, we swore, that's how angry they make us. A bad case of the split ends is enough to make a girl run screaming at the clippers. But before you take such drastic Britney-esque measures, listen up, because we've found a hairdresser in Brisbane that has a nifty, super-quick treatment sure to solve your first-world woes. 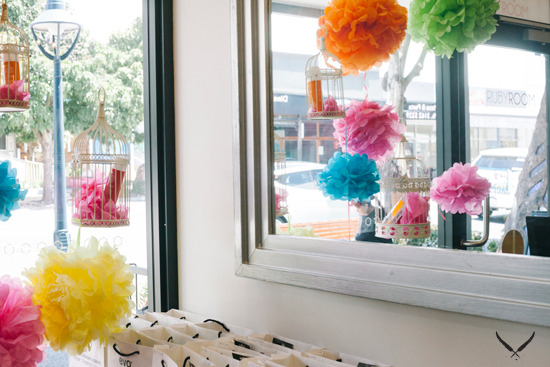 The Ruby Room in Nundah, is the Brisbane hairdresser that's coming to your rescue—and the first to perform this treatment in Brisbane—one frazzled follicle at a time. Hooray! From the land of all that is hot and Gisele Bundchen, comes the Brazilian Split Ends treatment, promising to reconstruct, repair, and seal split ends instantly. Not only does this treatment see you in-and-out in an hour, but it will protect and strengthen your locks for a whole MONTH. Because we are curious, and this seems like magic, we chatted with The Ruby Room's split end queen, Anthea, to get the low down on this miracle treatment. Editor's Note: Owner of The Ruby Room, Laura, vouches personally for this treatment saying that she's never seen anything so effective in 17 years of hairdressing! 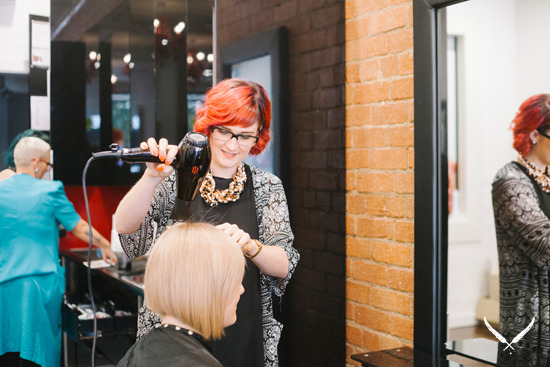 Following a consultation with The Ruby Room team (and a beverage of your choice), your hair will be shampooed and left damp, before the stylist lightly dusts the solution onto the bottom 6–7 centimetres of hair. Then the product's combed through to make sure each strand is properly coated with all the good stuff, and in all the right places to mend the broken cuticle. Next—and if you've never had a blowout, this is where things get weird—the stylist will use the blow dryer (yep, heat is good in this case!) on your hair to get it as smooth as possible, using a round boar bristle brush. Finally, the stylist will flat iron the bottom 6–7 centimetres of the hair to lock in the product and seal the ends. And voila! Your split ends have vanished! And you can wash your hair, exercise, put your hair in a clip, ponytail, or bun with no stress. It may seem easy but the crew at The Ruby Room say it's a pretty technical treatment, so don't try this at home. But between visits there are still some ways to keep those pesky splitties at bay. - Even if you are growing your hair it is important to still have regular trims to avoid ends splitting further up the hair shaft. Laura says this is absolutely essential if you want your hair to be healthy. "I often explain it to my clients, it's like cutting your nails: do you notice when you cut your nails how quickly and strong they grow afterwards? Hair is exactly the same, and even the smallest trim will result in your hair growing back faster and stronger, and feeling thicker without the fragile ends," she said. - Using heat protection on your ends protects your hair from unwanted mechanical damage. Moroccan Oil or EVO's Icon Welder are great for this. - Weekly hydrating treatments to help repair and hydrate the hair. The Ruby Room recommends The Moroccan Oil Hydration Mask or EVO's Great Hydrator Mask. TUL Note: Today's List Love post is proudly sponsored by The Ruby Room and endorsed by The Urban List. Our sponsored posts will never be a secret - the List Love seal will be stamped on any sponsored material you see on the site. Thank you for supporting the sponsors who make The Urban List possible.